Emergency patients are treated on the same day an appointment is made. If you are experiencing pain or discomfort, contact us immediately. At Smiles Unlimited, we understand and empathise with the helpless feeling of someone going through a dental emergency. Simply put, if you are experiencing dental pain, you need to see an emergency dentist right away. And we would like to help. Toothaches are often the result of either dental decay or infection. Only a dentist’s care and treatment will permanently cure a toothache. Tender glands in the neck. An abscessed tooth is usually severely decayed. It is an infection that is usually accompanied by a pus-filled sac between the gums and the tooth. An abscessed tooth can also be caused by a major trauma to the tooth such as an injury or blow to the face. 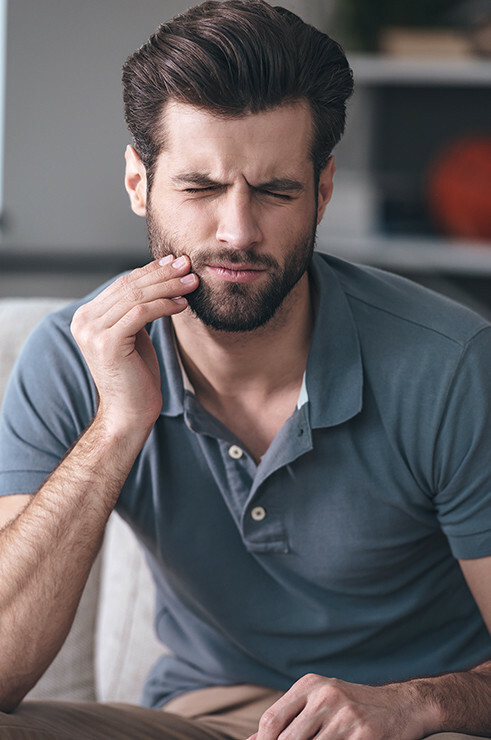 If you think you might be suffering from an abscess, we recommend that you come in and see us right away so we can assess and treat the situation, and prevent future discomfort. Remember, toothache pain will not go away on its own. Be proactive and contact us for help today.